Excellent Benefits including Salary packaging options and Accrued Day Off! The purpose of this role is to manage the team at an operational level providing effective and efficient leadership to 13 direct reports. You will contribute to strategies and assist in guiding the future direction of the program and its reforms. We offer the opportunity to engage in meaningful work that makes a real difference to the lives of our clients, their families, carers, & communities. We have a fantastic benefits package that promotes work/life balance; something we are very passionate about! 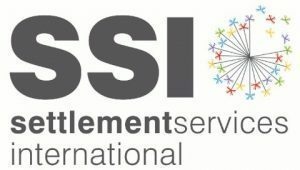 SSI is committed to being an EEO employer. We embrace diversity in our workforce and encourage applications from culturally and linguistically diverse backgrounds, including those from Aboriginal, Torres Strait Island heritage & people with lived experience of disability. Please quote in application: Area Coordinator (Metro Southwest) via Pro Bono Australia.